Despite anime magazines not being very cooperative and deciding shows like Little Witch Academia wouldn’t get staff revealed this month, we have returned you to tell you about all the exciting staff coming up on various ongoing anime. Particularly exciting times for fans of Tiger Mask W, Maidragon, ACCA, Pokemon and Youjo Senki! Youjo Senki: The show is unavoidably approaching its (perhaps temporary) climax and that means it’s time for the director and animation producer to go all out and assemble the best contacts they’ve got. 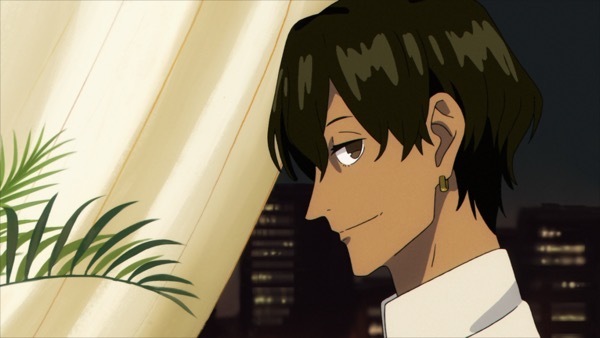 Studio NUT’s founder Takuya Tsunoki is an ex-Madhouse producer, who among other shows handled Death Parade – Yuzuru Tachikawa‘s debut as a TV anime director. You probably won’t be surprised to hear that he is storyboarding and directing episode 11, with Takao Maki on animation direction. However, I recommend to lower your expectations as this definitely won’t be the second coming of Mob Psycho 100. This show has been fighting against tight production schedule and Tachikawa’s episode won’t be an exception. That said, exceptional directors can pull off impressive work under tricky circumstances! Maidragon: Unsurprisingly, the final stretch of the series will be in capable hands. Episode 11 is Animation Do’s final take on the series, which means Tatsuya Sato is once again likely to deliver neat sequences like this. It’s the final two episodes that stand out, however. The Taichi Ogawa and Chiyoko Ueno duo was already one of the highlights of the show on episode 5, so expectations for their return on 12 are quite high. Ueno in particular has turned out to be one of the most resourceful animation directors on the series, meaning we’re due another diverse spectacle. And of course there’s the finale itself, which took people by surprise on multiple levels. For starters because they trusted a newbie like Tatsunari Maruko to supervise its animation, rather than the designer or chief animation director. But more importantly, due to the absolute all-stars directional team – the series director Yasuhiro Takemoto storyboarding, and Yoshiji Kigami directing the episode. Kigami has of course handled plenty of climactic episodes at the studio, but it had been ages since he last directed an actual finale. I’m not sure if the adaptation will find a very satisfying point to wrap things up, but with him at helm you can expect the best execution possible of whatever concept they decided on. And Takemoto’s hands-on presence is no surprise but very welcome nonetheless; he has been very active on the series, making sure it all went according to his vision of the title. He’s a very demanding director to work with but one who goes an extra mile himself as well! Tiger Mask W: Once again we find some of Toei’s most interesting talent lurking around this series, like the young Akihiro Ota scheduled to supervise the animation of episode 25. But without meaning to sound disrespectful to the rest, it’s episode 24 that should be on an entirely different level. Haruka Kamatani will be directing and storyboarding it, aided by Kodai Watanabe as animation director. I have already talked about that duo and how they embody Toei’s bright future in the same ways as – and sharing many links to – the Rie Matsumoto and Yuki Hayashi team did a few years ago. And this isn’t just a fan talking (though it’s also one, unapologetically so), they’ve also quickly gained the trust of the studio as well. Toei has allowed them to take a long time to produce their second episode, skipping one or two staff cycles when compared to the rest of the team; it’s more understandable in Watanabe’s case since he’s done some work here and there, but Kamatani had been silent since her previous episode in the series quite a while ago. Both of them have worked under regular tight schedules and Watanabe is even acknowledged as a diabolically fast artist, so this has to be special treatment they have been granted. A tremendous young team given enough time sounds promising! ACCA: Tomorrow’s episode 11 will be handled by everyone’s favourite duo Yousuke Hatta and Keita Nagasaka. Those of you who’ve been following our write-ups don’t need to hear any more to know how exciting that is. Kira Kira Precure a la Mode: While we’re on Toei, a quick note on Precure. We’ve arrived to the segment of the staff rotation that conglomerates the weaker staff so there isn’t as much to highlight this time, but episode 10 – which promises a confrontation between the two older magical girls – has been handed to an appropriately solid team. Akira Inagami’s animation supervision seems like quite the good fit for this; he’s still known as the character designer for the first seasons of the franchise, but he doesn’t seem interested in returning to that role and has spent years working exclusively as an animation director on Precure. His art is gallant and sharp, so an episode focusing on the two highschooler magical girls who already give off that impression when compared to the rest of the cast is exactly the kind of material he should be in charge of. Pokemon Sun and Moon: : There’s nothing as inherently exciting as Isao Nanba’s debut as animation director that we warned you about last month (and that turned out to be absolutely fantastic, by the way), but Pokemon still has some goodies coming up. Episode 21 is the obvious one, with yet another collaboration between the director Yuji Asada and the Pokemon superstar Masaaki Iwane co-supervising the animation – which he might very well handle on his own again, as he’s been doing in the previous instances of that. Keep an eye on episode 19 as well, which features the likes of Aito Ohashi and Hiroyuki Horiuchi amongst its animation directors. Horiuchi should be busy as one of Youjo Senki‘s main animators, but no Pokemon fan is going to complain about this gift. Gundam: Iron-Blooded Orphans: A story that began back in October 2015 is finally coming to an end. The lengthy production has suffered multiple staff departures (mostly to Eureka Seven’s new movie trilogy) and arrivals (notably Kazuki Akane from Code Geass Akito and Kanta Suzuki from Regalia) through its entire run. A good number of the core staff tied to Sunrise’s 3rd substudio however stayed faithful the entire time, and they’re currently fighting to somehow finish the show on time. 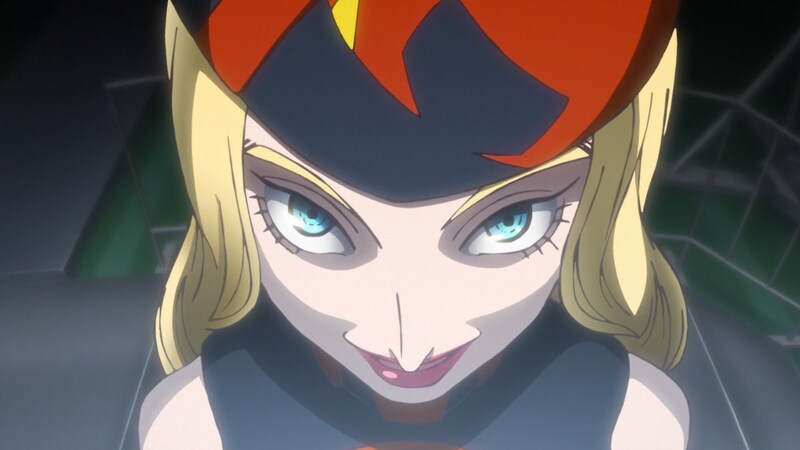 Episode 49 will probably be action-heavy with Sakiko Uda and Kenichi Takase handling mechanical animation direction and Iwao Teraoka contributing to the storyboard. The final episode’s staff is listed in the magazines as entirely TBA, which means we can expect a massive credits roll. I’m surprised that Takemoto did not direct any episode himself of Maid Dragon. More Kigami is always a wonderful treat. Not really related, and out of curiosity, what was the first animated scene that made you want to know the person who was behind it? I’d have to think about it more, but personally stuff around TTGL. A bit earlier too maybe, like Haruhi’s concert. Interest took a while to flourish though! I think you meant to say Nagasaka Keita for ACCA ep. 11? Nagasawa Reiko was a Key Animator for ep.3. Ep.11 was excellent btw. Poor libo must have had the name in the brain from transcribing the KA lists. Fixed!